Probably the best flavored rum, certainly the best chocolate rum, ever. Back in April of 2014 I had the privilege of visiting Don “Pancho ” Francisco Fernandez in Panama and did an extensive tour of his distillery and cane fields. 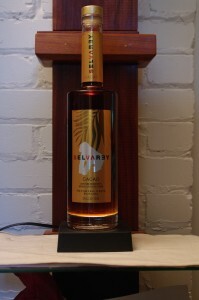 One of the rums I got to sample was the Selvarey Cacao ( along with the white). At the time we were sworn to secrecy about the rum and its origins ( Especially the involvement of Bruno Mars who wanted the rum to sell on its merits, not his fame). Now that the rum and Mr Mars involvement has been revealed to the world we can discuss it here. In a discussion with Seth Gold one of the other founders (in response to my question which was how did you ever want to get into the trade or similar) he detailed the passion and experience that drove them to bring this rum into being with a lot of sincerity and integrity rather than a cold, calculated, and formulaic product as some many others have done. 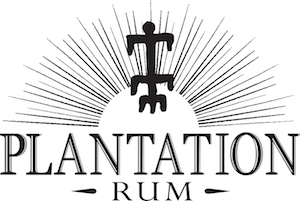 This is an honest rum with no compromises to quality, integrity, or marketing. Notes: one of the most striking things that we found was that you could pour glass of the rum and it would taste exactly the same from when you first tasted it to a couple of hours later. This was a revelation almost no rum or really any spirit, can stay so stable and remain the same of the smell and taste over time like that. This was of course due to the mastery of Don Pancho who has somehow come up with an extremely well blended flavored rum which does not use any chemical additives, adjuncts or any other shortcuts. If I remember correctly it took him about 5 years to develop this rum and be happy enough with it to share it with the rest of the world. Made in Pesé in the Herrera Province– Panama’s premier sugarcane region from sugar cane raised and tended on their own property and hand harvested ( this allows much closer quality control and less detritus in the cane crushing and processing than mechanical harvesting). Hand harvesting is an arduous and labor intensive process that is only used of their rums – many companies do not doe this. The sugar cane juice is then fermented with a proprietary yeast and distilled in one of their antique copper column stills ( the same stills as were used at the legendary Michters Distillery of Pennsylvania till it closed in 1990). the rum is then aged five years and locally grown cacao beans are macerated in the rum then filtered off for final resting and bottling . Appearance: Attractive tawny brown gold red color. On swirling it leaves a appropriately heavy oily edgelinewhich then retreats to thin legs and droplets rapidly, displaying an absence of fake oils and binders ( unlike many especially flavored rums).Vanishingly small bits of sediment from the cacao beans at the bottom of the bottle show that while the rums was carefully filtered, it was not filtered to death and the presence of small bits of cacao are in my mind a good thing. It shows what the rum was made from and I will take authenticity and rusticity ( and a little sediment) over pretty, processed to death crystal and ultimately soulless products. First Impression: Selvarey Cacao has a complex nose or naturally occurring scents, which is very remarkable for a chocolate rum – most restart to chemicals to achieve a “chocolate” bouquet.Selvarey on the other hand actually smells like what it was made from, cacao beans and good rum – neither of which are used much by the competition. Notes of toffee/caramel drift out first, with wisps of cardamom, and either toasted cacao beans and shells blending into a artisanal chocolate bouquet with hints of grassiness and slight floral notes. Taste: Very smooth with a medium weight entry that is somewhat oily and thankfully not overly stick or sweet. Delightful mix of chocolate/cacao and well made rum nice cacao alkali tang that finishes long and slightly and nicely bitter like a good dark cacao with lingering hints of rum at the end. Drinks: A lot of people have been playing with chocolate bitters as accents or twists on classic cocktails. this chocolate rum offers a rare opportunity to step beyond that and use a chocolate flavored spirit that does not taste like chemicals or is syrupy sweet allowing one to experiment with adding it to whiskey drinks such as Manhattans, Old Fashioneds, Rob Roys, etc., along with the painfully obvious such as a (chocolate/mint ) Chocolate Mojito or an upscale coffee cocktail.Both the White Selvarey and Selvarey Cacao worked well with Sprecher Cream Soda as a Cream Fizz also. Most notably, and unlike many other flavored rums, ( which are chemical hellbroths of pseudo flavors blended with rum I would not use as bug remover on my windshield) this aged cacao rum can be sipped neat or on the rocks and enjoyed on its own as an exercise of appreciation for the blenders art. 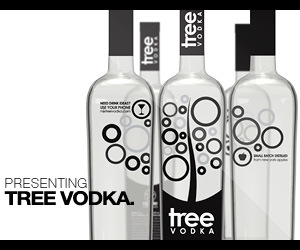 Final Thoughts: An outstanding flavored rum.Well made, wonderful taste, and highly versatile. What more could one ask for ? Another classic from the Maestro Don Pancho !